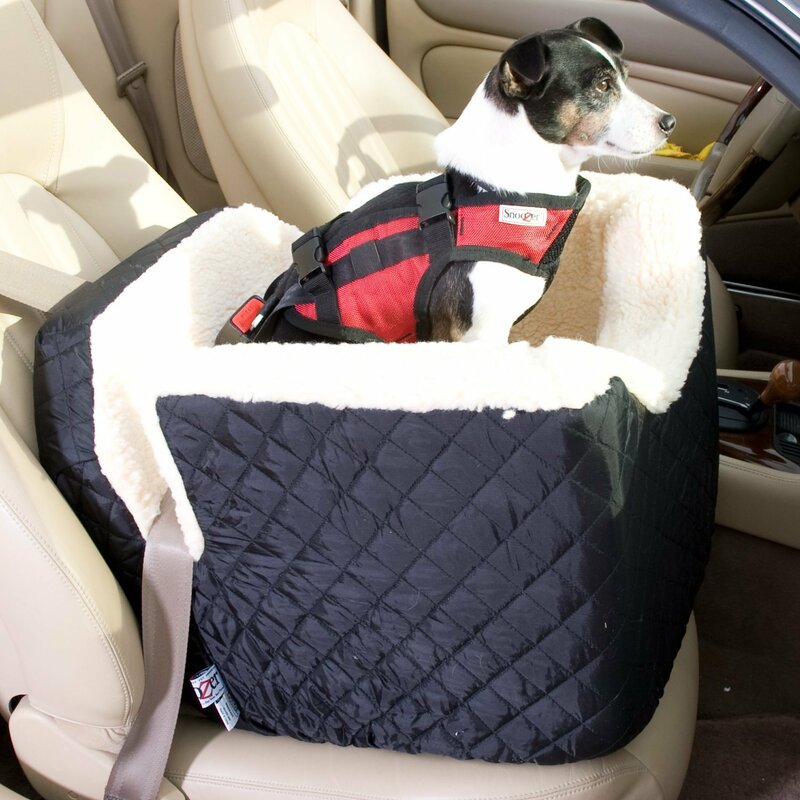 Whether it’s a dreaded visit to the vet or a long road trip to visit Grandma, you can be sure your pooch travels in comfort and style – when he’s not hanging his head out the window! A dog car bed offering a snooze with a view. A great option for small and medium pups that like to get a human’s eye view of world. The Snoozer Lookout Car Seat is made from a sturdy yet comfortable foam base with a plush interior with an authentic lamb’s wool feel to keep cozy. The seat and your pet are kept secure via a connection strap (included) and your standard seat belt. It comes in a number of colours, designs and fabric options. Get the Snoozer Lookout Car Seat here. If you’re tired of cleaning up pet hair, dander and accidents in your car – have we got a product for you. The Solv-it Sta-Put hammock gives your pup a backseat nook so he can enjoy the ride. 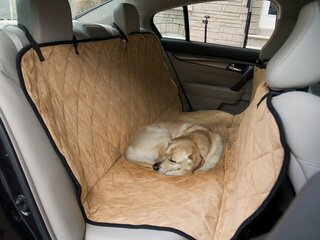 The advantage of a pet hammock style dog car bed is that it keeps your pooch snug in the back seat and protects your interior. It’s made from a waterproof material with plush cushioning for added padding and comfort. The pet hammock comes in a few sizes and fits with most standard headrests. You can also for a half-seat model so you can take along an extra (human) passenger as well. Get Solv-it Sta-Put Hammock pet seat cover here. Meanwhile, if you have a station wagon, SUV or mini-van, you might prefer to keep your four-legged friend off the upholstery and have him ride in the back. 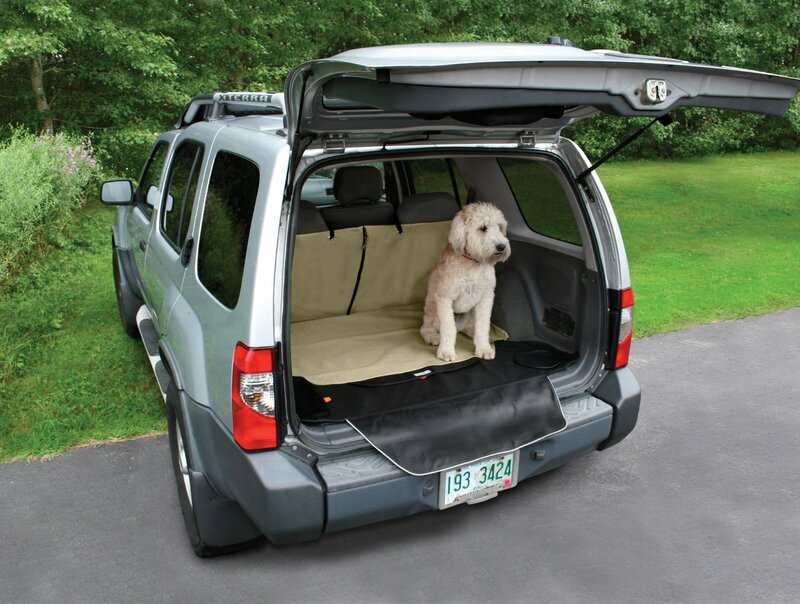 We recommend the Kurgo Cargo Cape to keep your pet secure and your vehicle in tip top shape. The cape is machine washable and fits all standard vehicles. An extra shield flap protects your bumper from sharp nails and dirty paws when he climbs in and out. A middle zipper lets you adjust the cape for fold rear seats. Get the Kurgo Cargo Cape here. 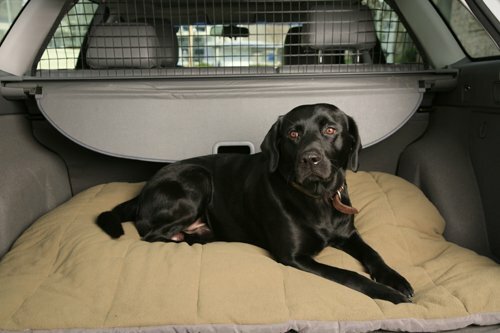 If you’re in for a long journey, your pet will appreciate the added comfort of a K&H Travel/SUV pet bed. The nylon exterior is reinforced with a stay put non slip bottom to keep it secure on the go. It comes with a removable cushion for added comfort as well as a matching car seat cover. 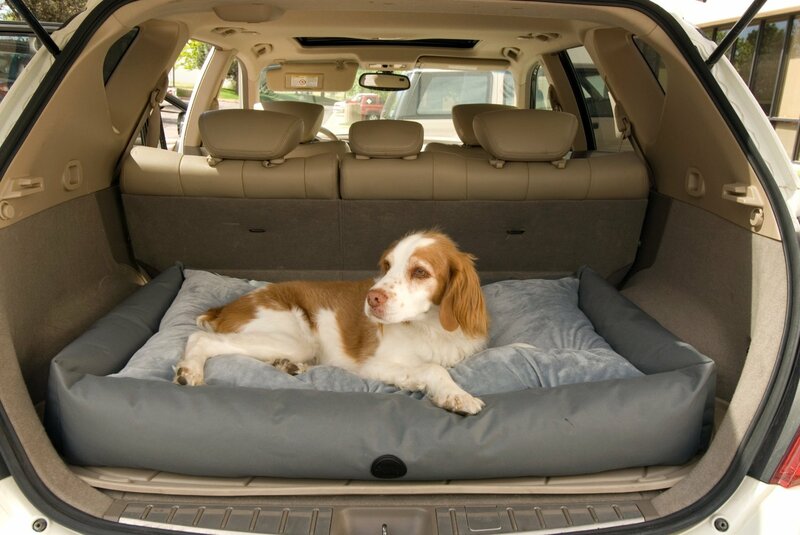 It also doubles as a travel pet bed when used outside the vehicle. The K&H Travel/SUV Bed comes in two sizes to fit small as well mid and full-sized SUV vehicles. Get the K&H Travel/SUV bed here. Finally, we have the ABO Gear Pet Sac which offers a simple solution for travelling with your pet. It’s quilted and reversible for varying temperatures, so your pet can keep warm in the winter and stay cool in the summer. Perfect for medium and large dogs, it fits standard SUV and station wagons and can double as a crate liner for pup when he’s at home. Get the ABO Gear Pet Sec here. I am looking for the pet car seat. Does anyone have a site to purchase?